The City of Rome, New York in Oneida County, has about 35,000 residents. It is located near Utica and houses the Rome Memorial Hospital and the Mohawk Valley Community College, which offers a vast array of cultural and community events. 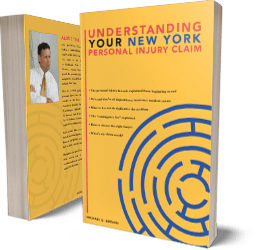 Michaels & Smolak handles personal injury and medical malpractice cases all over Upstate New York, including Rome. The accident and malpractice lawyers of Michaels & Smolak accept only legitimate cases and reject frivolous or unfounded claims. Michaels & Smolak is proud to have brought several successful, legitimate claims on behalf of residents of Rome and the Oneida County, including, most recently, a client who became blind after receiving an incorrect prescription. Many of Michaels & Smolak’s clients keep in touch with the firm even after their case has been resolved. The Firm considers its former clients "friends". Michaels & Smolak prides itself on its client service, which includes home visits to clients in Rome and in other areas of Oneida County. Call Michaels & Smolak to see whether you have a legitimate claim that can be pursued.